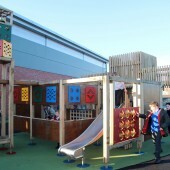 The Playscape is a live project collaboration between Morley Newlands Primary School and Leeds Beckett University. 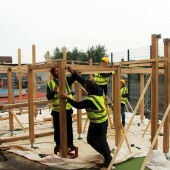 The project was designed and built by Leeds School of Architecture students, led by academic staff from in-house architecture consultancy, Project Office. 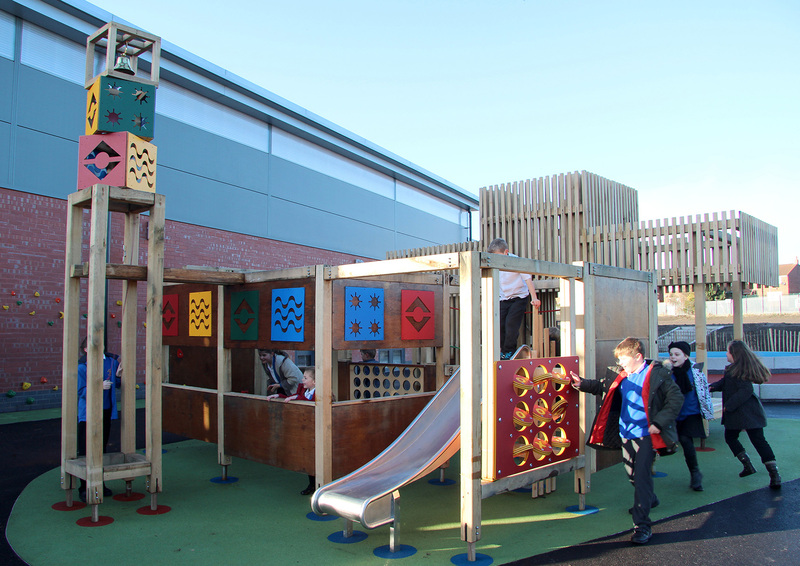 Primary school pupils and architecture students worked together in the classroom to create the Design Guide for a ‘playscape’ of imaginative play and learning. This was used as the brief for an ideas competition, open to the school of architecture’s alumni. 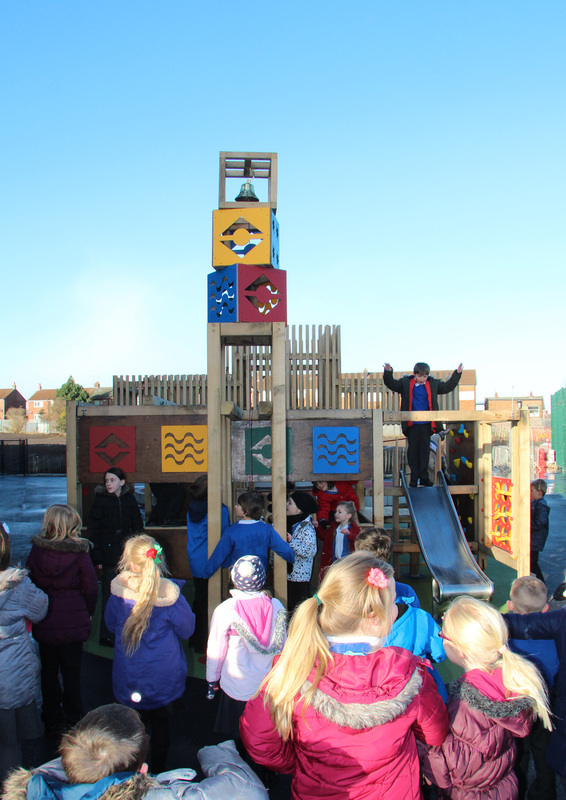 Two winning entries were selected by the school and imaginatively combined, developed, detailed and hand-crafted on site by a team of architecture students. 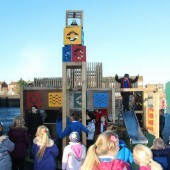 The playscape has three discrete elements; a ‘theatre space’, ‘secret garden’, and bell tower, all predominantly constructed from European oak, pine decking and marine plywood. In total 58 students participated; gaining real life experience of brief writing, design of concept, construction detailing, and ‘on-site’ assembly. The live project exposed students to a design methodology that puts team working and collaboration at the heart of the creative experience. Other Facilitators: Adrian Appleyard (Leeds Beckett), Alan Stoyles (Leeds Beckett), Wates Construction, Guy Harnett and Michael Wadsworth. 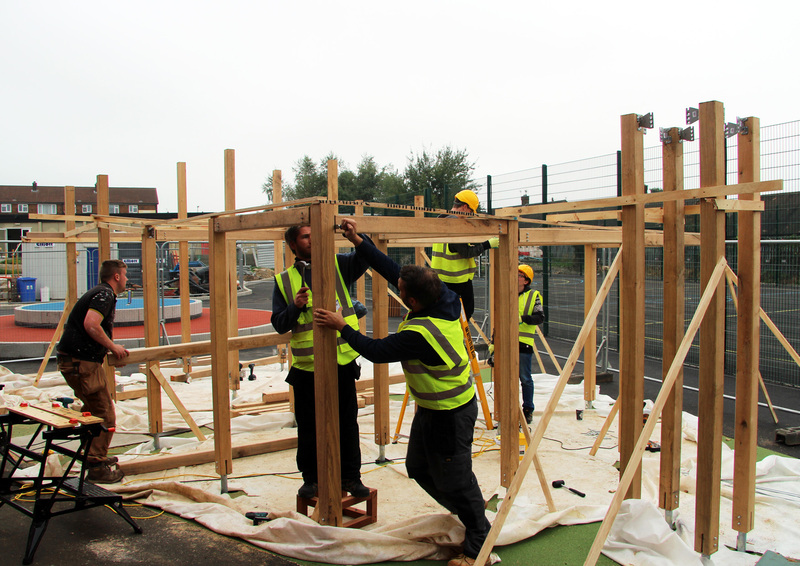 Research Question: Conversations and interactions between the live project educators and participating students during the construction are utilised as an instrument for engagement with pedagogical theory.